The Cloistered Heart: This Road, Or That? 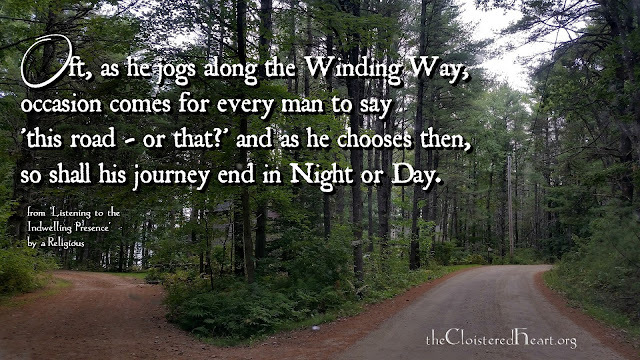 so shall his journey end in Night or Day. "We need not preach; we need do nothing extraordinary. We need not be in the public eye; we need hold no important position. Each one is important in his own right, for we have a great work to do, if we are to be Warriors and fight heroically for Christ."